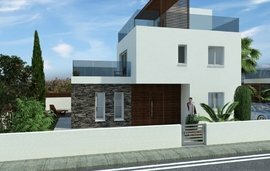 Luxury residential development located in the heart of Pafos town with excellent coastal views. Luxurious 1, 2 and 3 bedroom options available for apartments and condominiums. 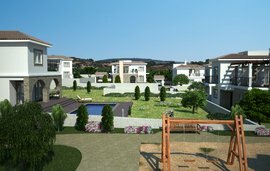 Centrally located and within minutes access to a plethora of amenities and services including the International School of Paphos, the Kings Avenue Mall and the Venus Rock Golf Resort. Facilities include private gym, children's paddling pool, swimming pool and communal landscaped gardens. Short drive to blue-flag beaches, resorts and the Pafos International Airport. 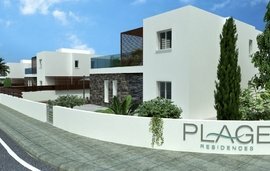 If there’s one outstanding feature of this luxury development, it’s the breathtaking, views of Pafos and the enchanting sun as it dapples on the sparkling Mediterranean coast . Owning a property at Pearl Park Residences also makes perfect sense from an investment point of view. The development has been designed by an elite team of acknowledged and respected architects, which is reflected in both the aesthetic and functional superiority of the project. Then of course there is the location, which in property terms is always vital. Located on a hilltop, on the outskirts of the town, Pearl Park is only five minutes from a surplus of amenities and services, a delightful variety of Pafos’ Blue Flag beaches, and fifteen minutes from both Pafos International Airport and the acclaimed Venus Rock Golf Resort. As for the development itself, Pear Park will include luxury facilities such as a large, communal swimming pool, children’s paddling pool, and private gym with Jacuzzi and sauna and gender specific ablution conveniences. Whichever way one looks at it, investing in Pearl Park makes perfect sense, from any point of view.